"48 Hours" producer Robert J. Halderman (inset) pleaded not guilty to grand larceny charges that allege a blackmail "sextortion" attempt on talk show host host David Letterman. A veteran journalist who allegedly tried to extort money out of David Letterman has pleaded guilty to felony charges of attempted grand larceny. Robert Halderman, 52, a former producer for CBS News and the show "48 Hours" will be sentenced to six months in jail and five years probation. The Norwalk, Conn., resident will also be required to serve 1,000 hours of community service -- 500 hours in New York and 500 hours in Connecticut. He will be back in court for sentencing on May 4. Prosecutors say that Halderman tried to fleece Letterman for $2 million last fall in exchange for keeping quiet about the late-night comedian's off-screen drama with female employees. "In September of 2009, I attempted to extort $2 million from David Letterman by threatening to disclose personal and private information about him, whether true or false," Halderman said in court, reading a prepared statement at first so quickly that Manhattan state Supreme Court Justice Charles Solomon asked him to slow down. Halderman's lawyer, who had raised free-speech and other issues in his attempt to portray the producer's behavior as a business deal, said Halderman ultimately decided he needed to end the case. "We had a novel defense here involving complicated legal issues. I was very excited about the defense," said the lawyer, Gerald Shargel. "But there would be a long road ahead of us, and considering the risks and the rewards and the need for Joe to put this behind him and get on with his life, those needs were paramount." Before deciding to plead guilty, the producer and his lawyers had said that the "extortion" plot was all a misunderstanding, and that Halderman was in fact trying to sell a screenplay or movie "treatment." "This so-called treatment was just a thinly veiled threat to ruin Mr. Letterman if he did not pay me a lot of money," Halderman said, dressed in a gray suit. He subsequently met with Letterman's lawyer, who eventually gave him a phony $2 million check. Letterman's lawyer read a statement on behalf of his client: "I want to thank Manhattan District Attorney Cyrus Vance, former Manhattan District Attorney Robert Morgenthau," he said. "On behalf of my family, I'm extremely grateful for their tireless efforts." After Halderman's arrest in October, Letterman took a very candid, serious moment to tell his studio and TV audience the sordid details of the plot and his affair -- without naming the employees he had liaisons with. During his monologue on Tuesday, Letterman addressed the sticky situation and thanked the police and district attorney. “I need to talk to you about a segment of my life here that began six months ago," Letterman said during his monologue, according to a transcript. "I found myself in some legal trouble, and pretty quickly, it was turned over to the District Attorney’s office here in Manhattan. Now, I’d never been involved in anything like this in my life, and I was concerned and full of anxiety and nervous and worried. " 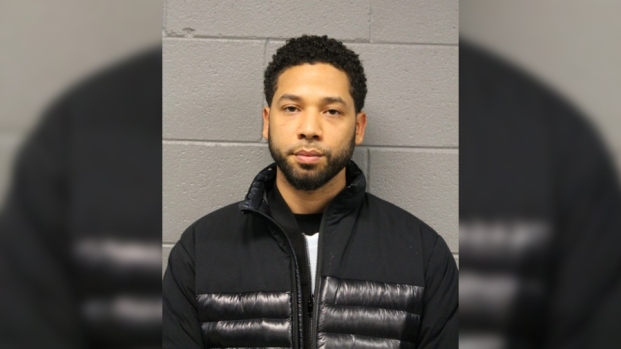 Letterman then essentially repeated the statement his lawyer made outside of court, thanking the DA and the police department. "I feel great remorse for what I have done," Halderman said, apologizing to Letterman, the comic's family, and his own former girlfriend, Stephanie Birkett. Letterman married longtime girlfriend Regina Lasko last year. They began dating in 1986 and have a 6-year-old son.